Disclosure: This is a sponsored post for SheSpeaks/Pantene. However, all views shared are mine and mine alone. I love when a review opportunity comes along that is all about me and letting me pamper myself. If you have children, especially young ones, then you know how you may lose yourself in taking care of them. So, it is always nice to be reminded to stop and take a moment for yourself, to recharge your batteries, refresh and just breath. :-) Thanks to the folks at SheSpeaks and Pantene, I was recently sent a gift card to go shopping at Walmart to pick up new Pantene shampoo and conditioner to add to my daily beauty routine (yes, I laughed when I typed this as it is hard to keep a beauty routine with kids running around the house. 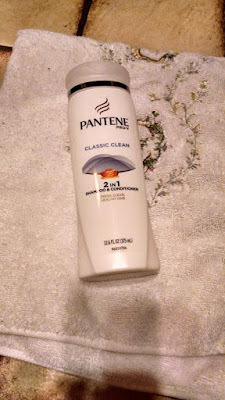 But, with this review opportunity, I did make the time each day to truly experience the Pantene shampoo and conditioner products I picked up - which definitely breathed new life into my frizzy, dry hair (thank you hot summer weather!). I couldn't get over how many different types of Pantene shampoo and conditioners were available. I guess I haven't been really taking the time to look and see what was out there for beauty products and grabbing something on the rush out of the store. But, this time I really did pay attention and look, and was amazed at the product offering, for all hair types. 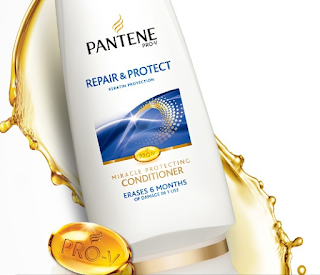 And, with prices around $3.84 and $4.97, you can't go wrong for a trusted brand like Pantene. While checking out the different products I found myself learning more about the importance of using conditioner. Not only does it keep the frizz at bay and protect your hair from damage, but Pantene shampoos and conditioners work together to make hair 2x stronger than shampoo alone. Also, Pantene Repair & Protect allows you to use straighteners and curling irons without worry about damaging your hair. 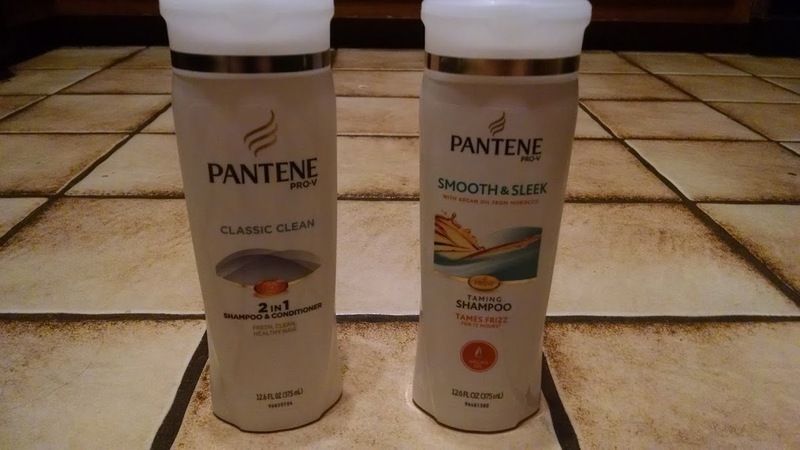 After browsing the Walmart store shelves, I ended up picking up a few different Pantene hair care products to try out, including the Pantene Pro-V Daily Moisture Renewal 2 in 1 Shampoo & Conditioner, Pantene Pro-V Classic Clean 2 in 1 Shampoo and Conditioner, Pantene Pro-V Smooth & Sleek Anti-Frizz Shampoo, and Pantene Pro-V Nature Fusion Smoothing Conditioner with Avocado Oil. I have been taking must needed "me time" for the past few weeks to really try out the different Pantene products. Thanks to this review opportunity, I have found out firsthand how important it is to keep conditioner in your hair care regimen. From the first use, I noticed a dramatic improvement. My hair went from dry, frizzy and flat to smooth, shiny and full of life. I couldn't believe it. And, guess what? My husband even noticed when he came home from work. He thought I had left the girls with a sitter and went to the salon. :-) I wish! Don't forget your Pantene shampoo and conditioner on your next Walmart shopping trip, or when shopping online at Walmart.com! I can't talk raving about the different Pantene shampoos and conditions I picked up at a recent shopping trip to Walmart. And, I find myself leaving my hair down instead of putting up in a ponytail, just to show off how great it looks. :-) So, while you are out and about back-to-school shopping with the kids, why not make a point to check out the hair care aisle at your local Walmart and pick out a few shampoo and conditioners to try from Pantene? You can find brands you trust, like Pantene, for everyday low prices at Walmart. And, if that wasn't enough...Pantene at Walmart has a 2x money back guarantee. So you have nothing to lose in picking up a bottle to try, but so much to gain, including shine and volume to your hair. I really like the results that I get when I use Pantene.